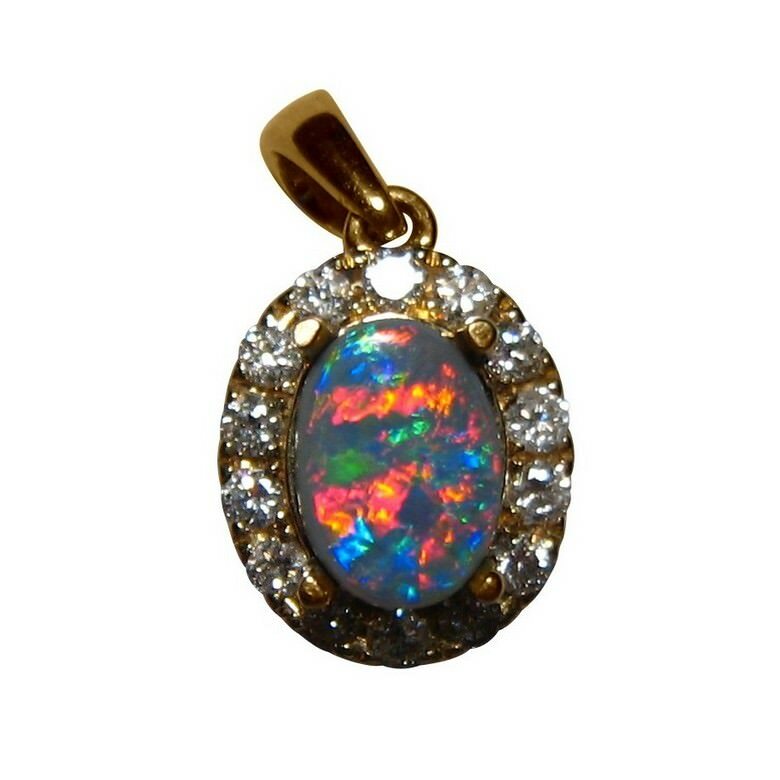 Stunning Black Opal pendant with a halo of quality diamonds in 14k Gold. 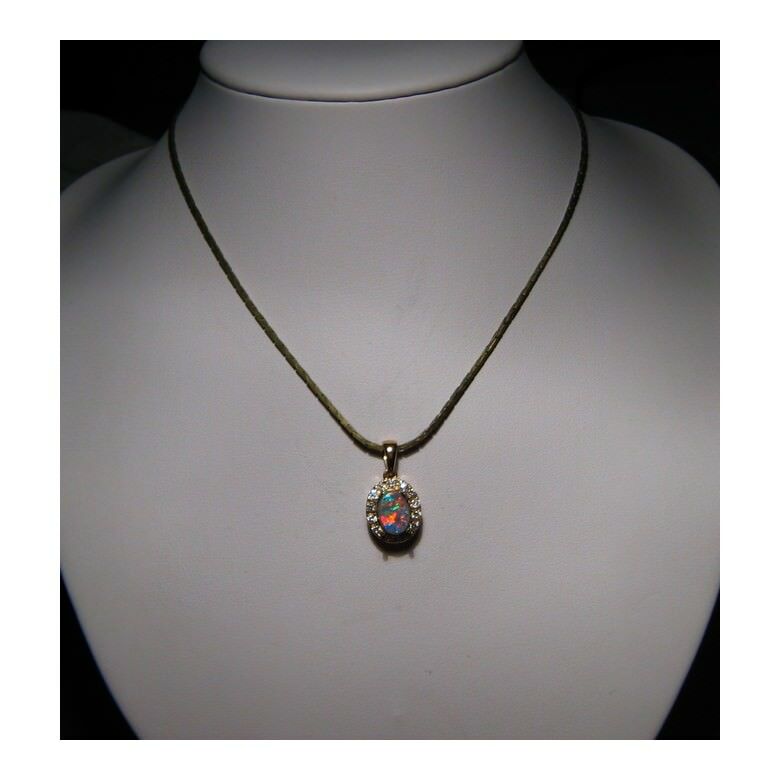 An exceptional Black Opal and Diamond pendant. 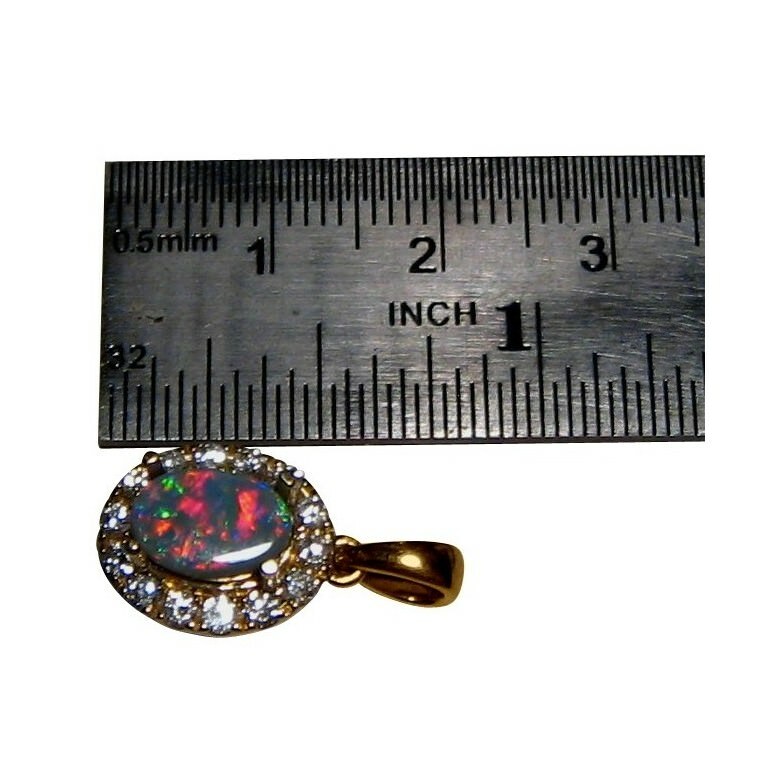 The oval Black Opal shows very bright Red and Blue - the most desired of colors in Black Opal - and these flash in a lively play of color. The Diamond halo consists of fourteen 2 mm white and bright diamonds which add lots of sparkle and size to the pendant. 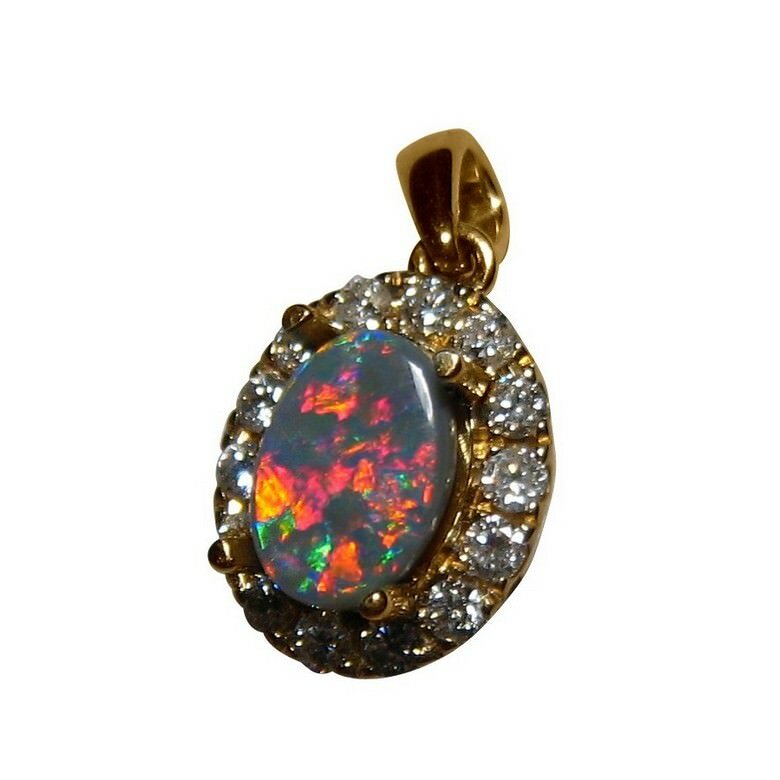 A stunning top quality Black Opal pendant that is shown in Yellow Gold but as the Opal will be set after purchase, it can also be made in White or Rose Gold or if you would prefer this Black Opal in a design more suited to you, contact through this product for assistance. 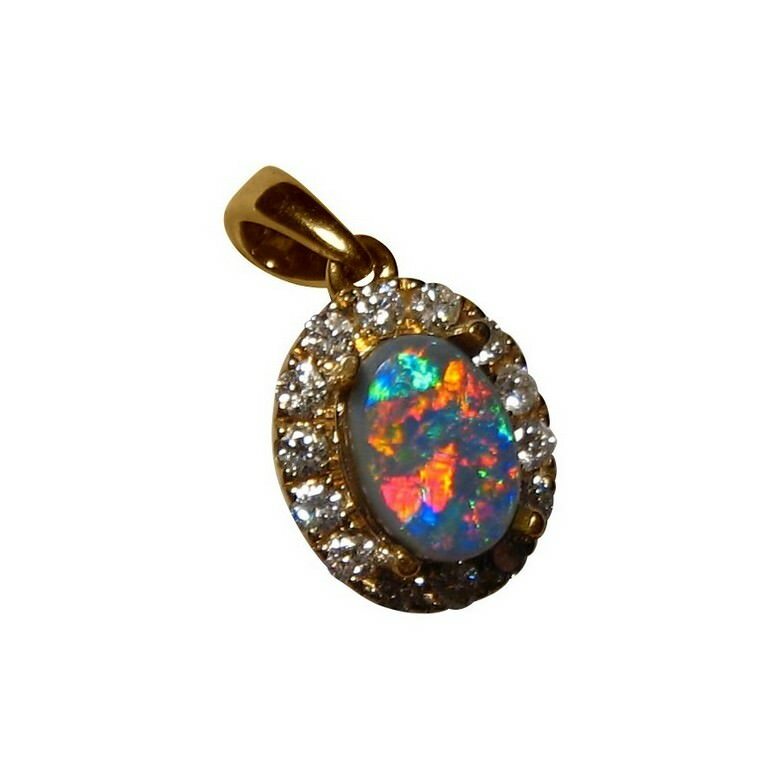 The real Red on Black Opal pendant is ready to ship as advertised or will take 14-21 days for 14kt White or Rose Gold. 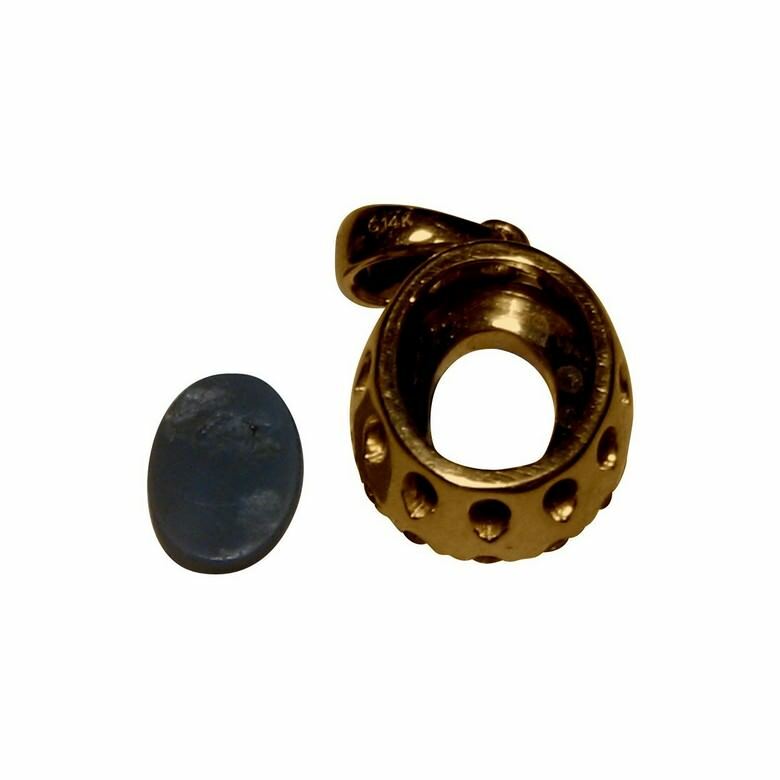 Please note the chain is not included.